From a distance, the large bird perched on a broken-off tree looked majestic and I assumed that it was a hawk or an eagle. 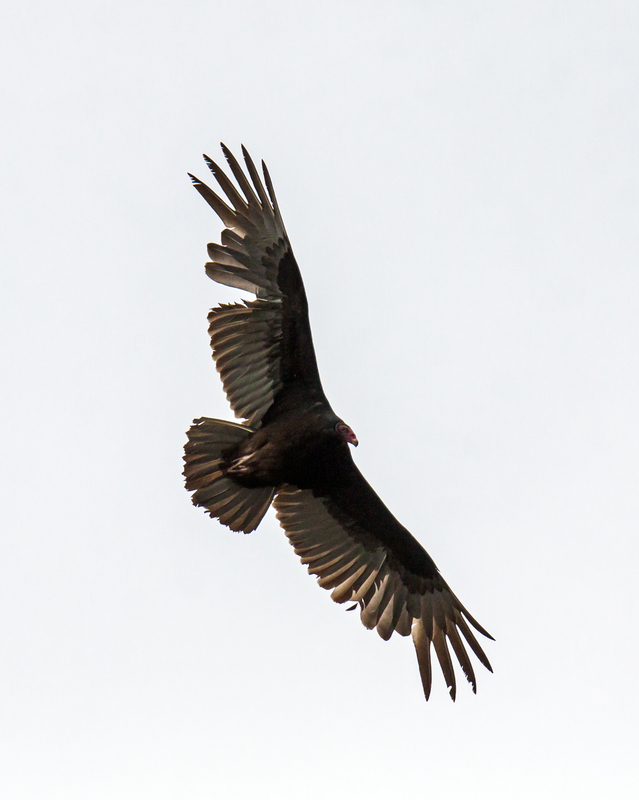 Zooming in with my telephoto lens, I realized that it was “only” a Turkey Vulture (Cathartes aura). 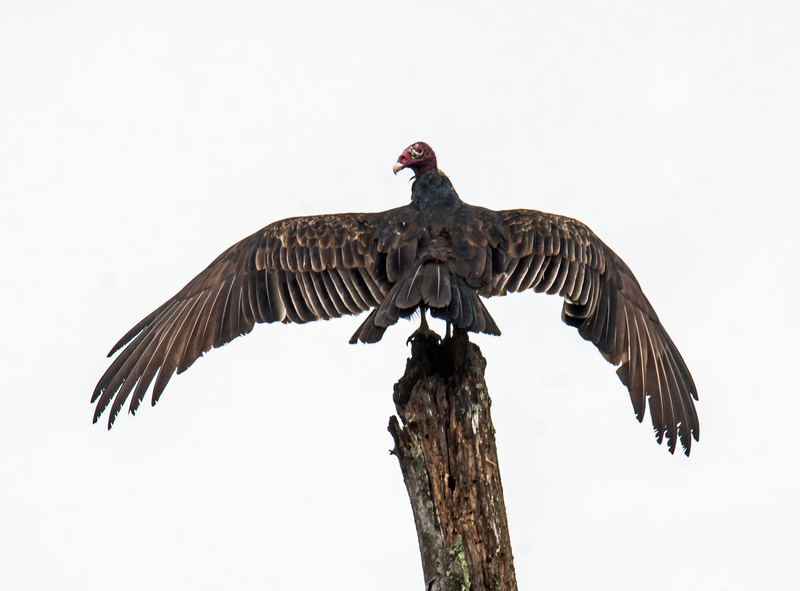 It got me thinking about the fact that vultures have a bad reputation—many people are creeped out by the way that vultures circle overhead and eat dead things. 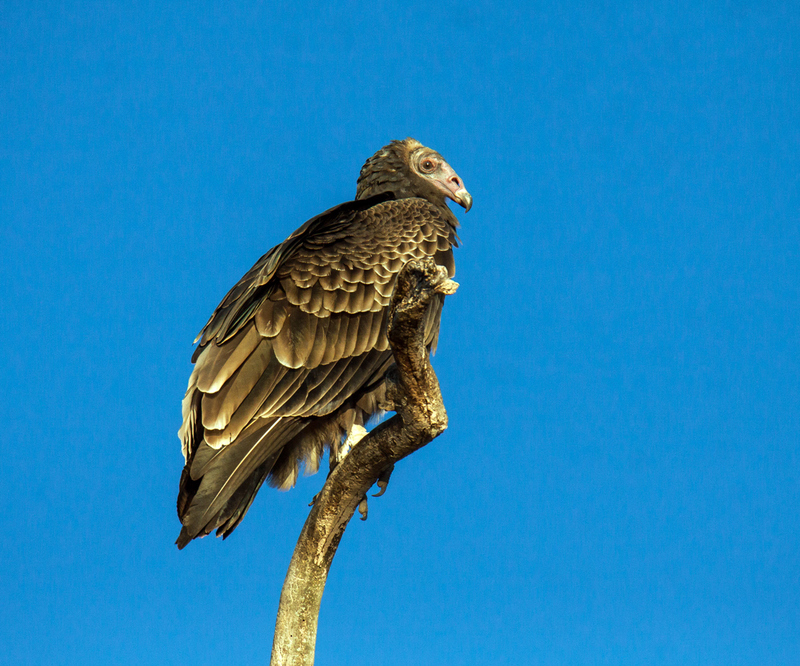 For them, the words “majestic” and “vulture” just don’t go together. 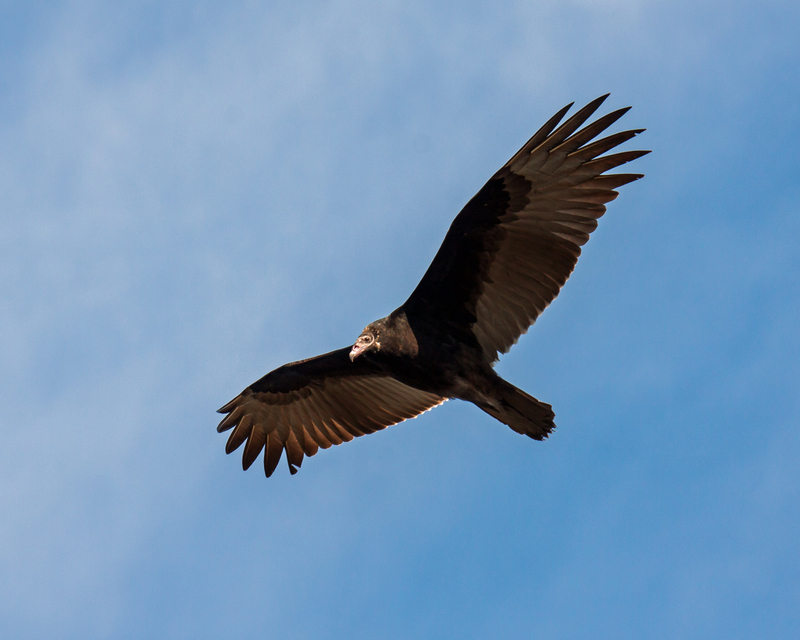 If you suspend all preconceived notions and examine the bird in this photo (or watch a vulture effortlessly soaring overhead), perhaps you too will find a bit of majesty there. 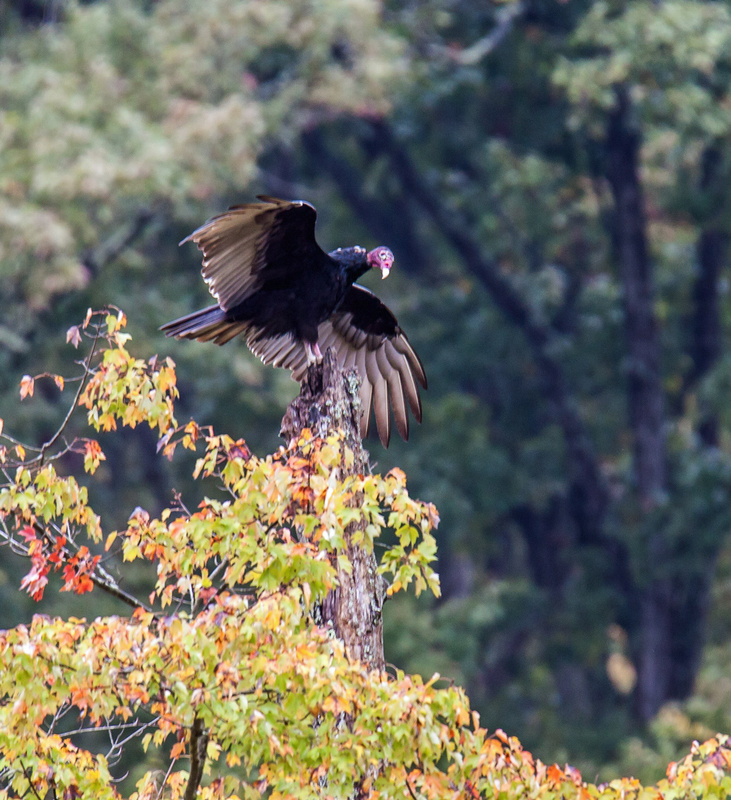 It was dark and overcast yesterday morning at Huntley Meadows Park and became more eerie when a Turkey Vulture (Cathartes aura) started to circle lower and lower around me. Eventually it landed on the broken tip of a nearby tree. 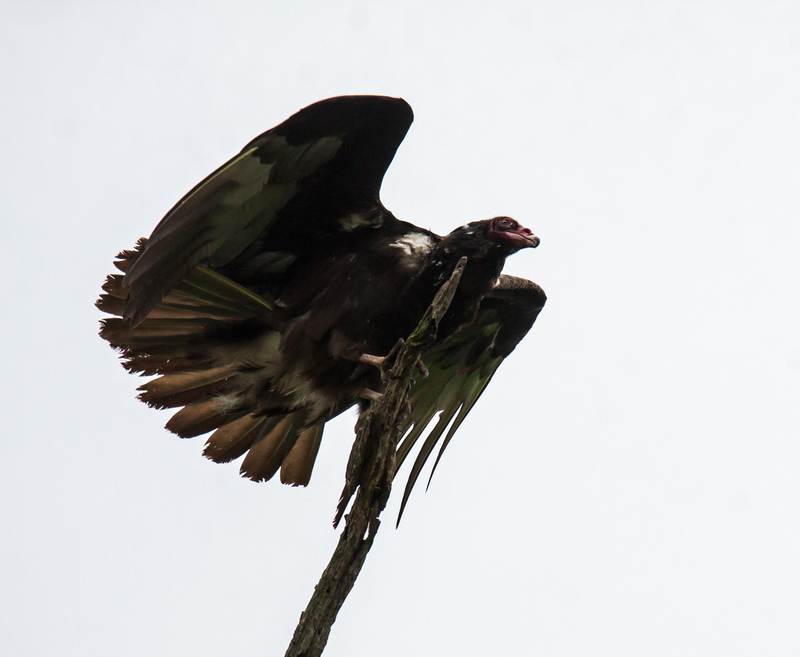 After closing its wings initially, the vulture suddenly opened them wide and left them open for an extended period of time, perhaps to let them dry—it had been raining earlier in the morning. The wing position reminded me of the Double-crested Cormorants that I occasionally see with wings extended to dry them after an underwater dive. 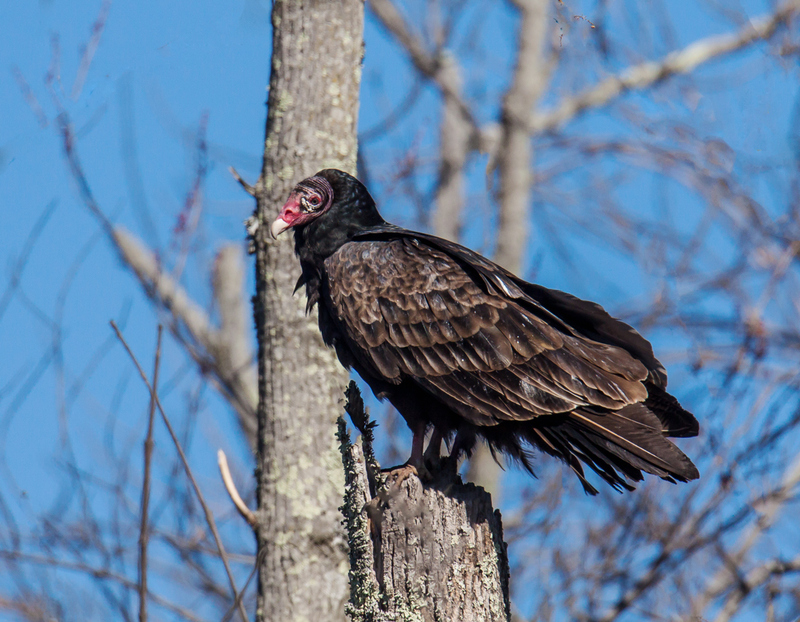 The early morning light was soft and beautiful, allowing me to capture these images of a young Turkey Vulture (Cathartes aura) on Saturday at Occoquan Bay National Wildlife Refuge. 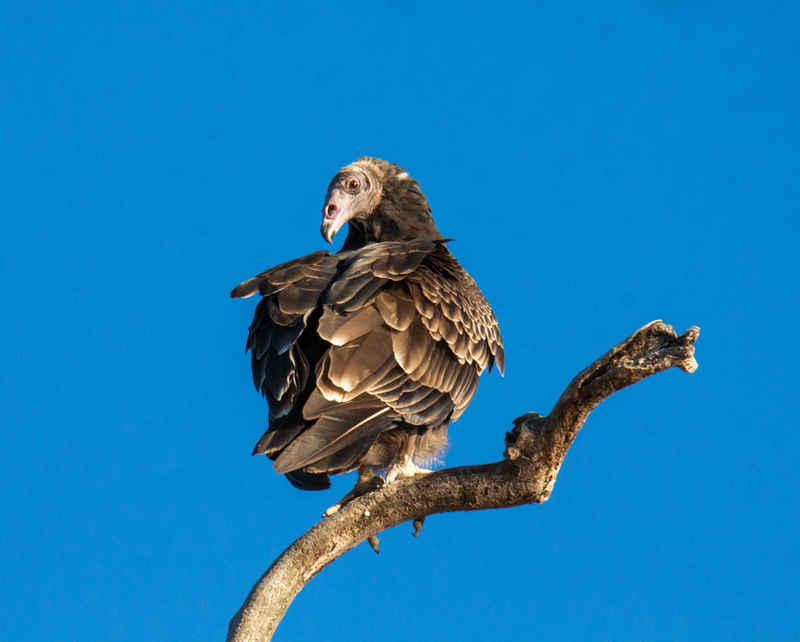 I am not sure I have ever seen a vulture look so handsome (and maybe even a little cute in the second photo). 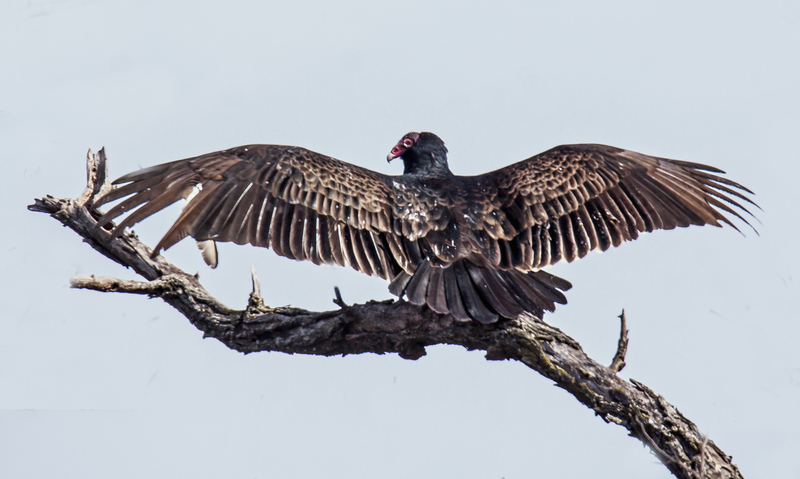 I was watching a Turkey Vulture high in a tree at Huntley Meadows Park this past weekend, when all at once it seemed to get tense and agitated. Suddenly a flash of black crossed my field of view as I gazed through my camera’s viewfinder. 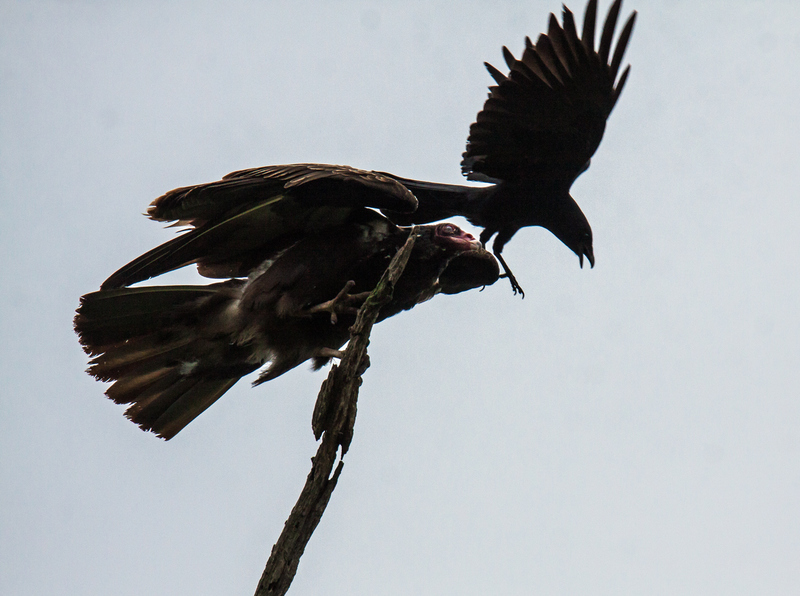 I had no idea what had happened until I saw this photo–an aggressive crow appeared to be attempting to get the vulture to move. 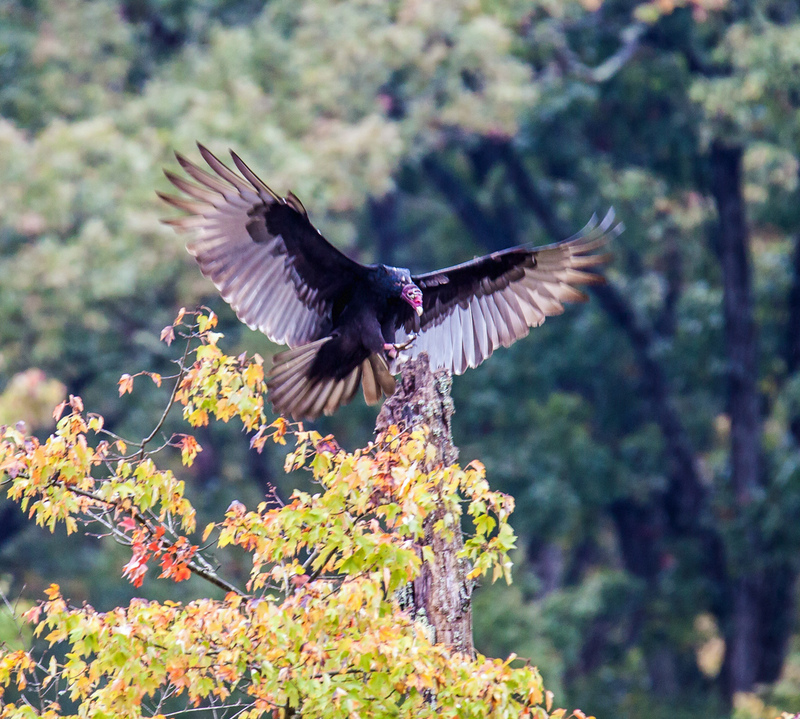 What was unusual was that the attack was not preceded by the loud calls of a crow, nor did there appear to be a group of crows, as is often the case when crows harass larger birds.